Inglot's freedom system means you can pretty much create whatever combination you want - the palettes come in all different sizes (from two to twenty), so you can choose as many shadows as you want, and you can mix all of the different colours and textures. I got a good mix of matte and shimmer shades and picked up a couple of brow powders - thinking they were pretty neutral eyeshadows - and it was okay to mix them all as they're all the same size and slot into the palettes. The palettes and shadows pans are all magnetic, so it's really easy to put your colours in and it's very sturdy for travelling and keeping the shadows safe. Almost too sturdy - I'm not sure how I'd get the pans back out of the palette if I wanted to! 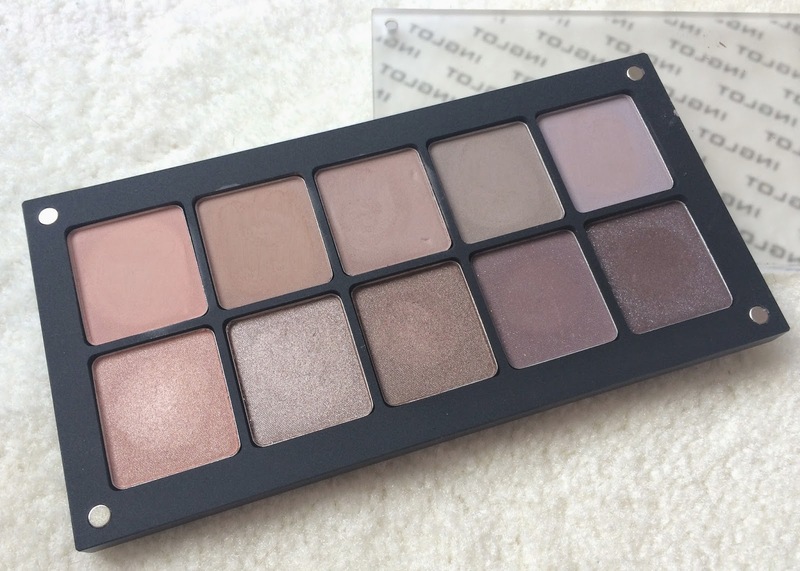 The lid has strong magnets in it too and put together the palette is really slim and compact as well as keeping the shadows completely protected. Each shadow comes sealed and boxed separately, and you then make the palette up yourself. These are all of the colours I chose in the pan form as they come, before I dropped them all into the palette. I made a few rush decisions in the end as I actually spent ages creating a palette I loved, but the lady that served me was really unhelpful and told me lots of the colours were out of stock (and then got grumpy when I didn't want to buy just half the palette!). 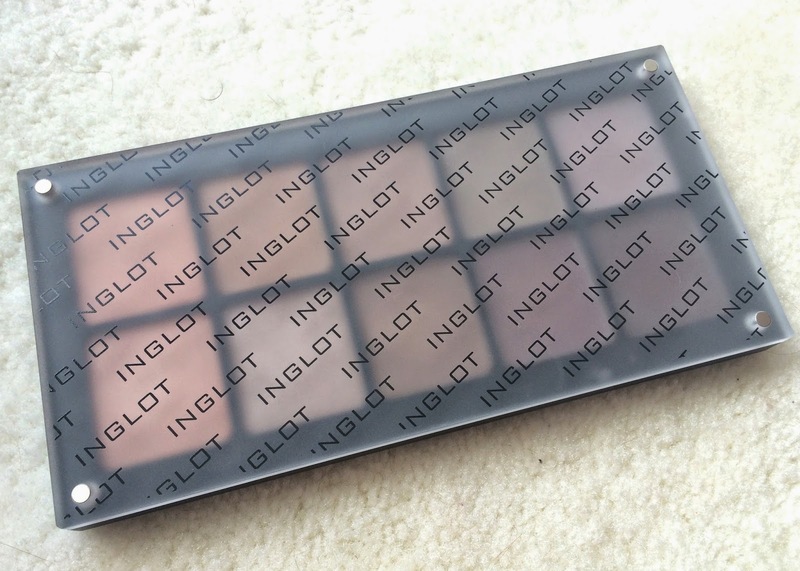 I was really disappointed and decided to try to order online instead, but the more I walked around IMATS I just couldn't stop thinking about Inglot, so I went back to try again. I picked out what I think were mostly the same colours and decided I'd buy the ones they had in stock and would write down the numbers of the others so that I could order them. I was served by a much nicer assistant and oddly this time all of the colours I picked were in stock! I know I probably didn't pick all exactly the same the second time, but certainly the two shimmer ones on the left were the same as they were my favourites, and suddenly they were available. Maybe there was a re-stock during the afternoon - I didn't bother to ask, I was just so happy to be taking the whole palette home with me! In my matte row the colours are 341, 337, 568, 560 and 558. And in my shimmer row these are 397, 153, 402, 460 and 53. All of the colours are extremely buttery and of a great quality which applies beautifully - that's what got me hooked on wanting the palette - those buttery shimmers! I've been using this palette loads since I got it, usually matching a matte from the top row with a similarly hued shimmer from the bottom. As usual I use my Nars eye primer, and these last all day long and keep their vibrancy. The Inglot freedom system eyeshadows cost £4.50 each and the 10 space freedom palette is £10 from inglotuk.com. I'm so pleased I got them! I eyed up the Inglot store when I was in Vegas but never went inside but I definitely think I will be when I visit again in September. 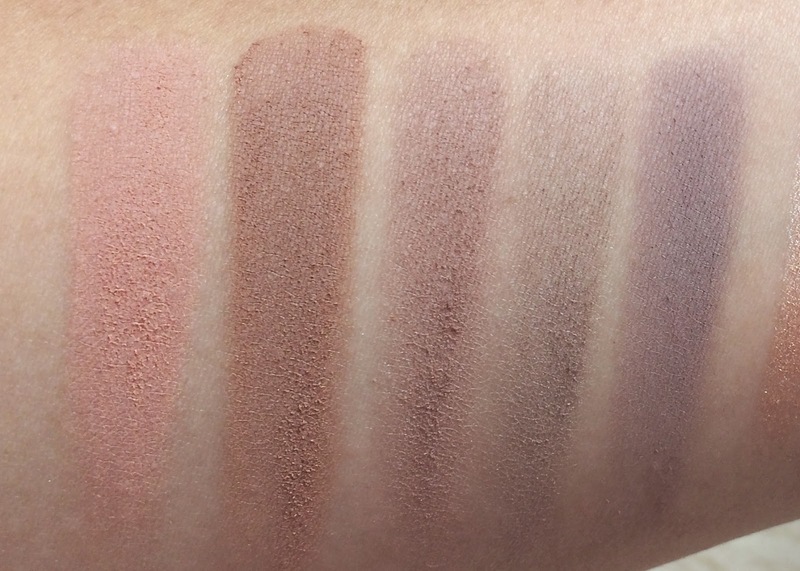 I love the peachy shades to the left of the palette! 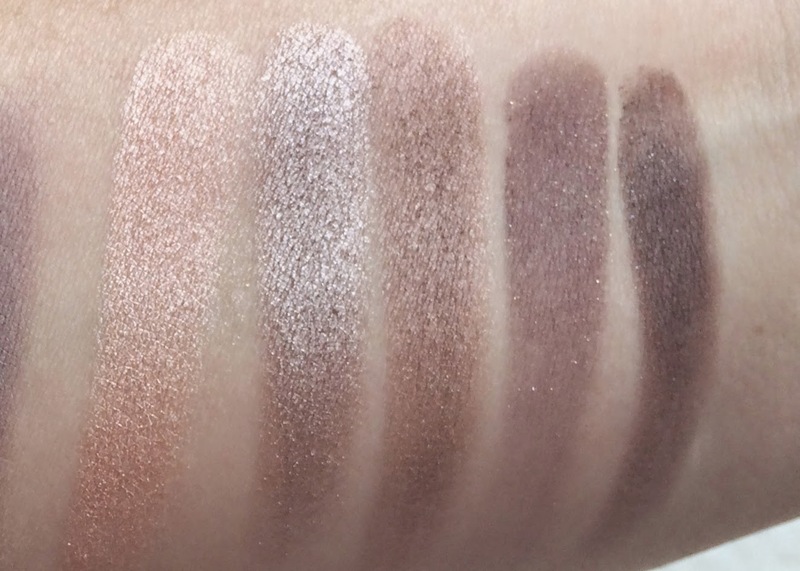 So pretty, would you recommend over MAC eyeshadows considering the price difference? Hmmm, tough question. 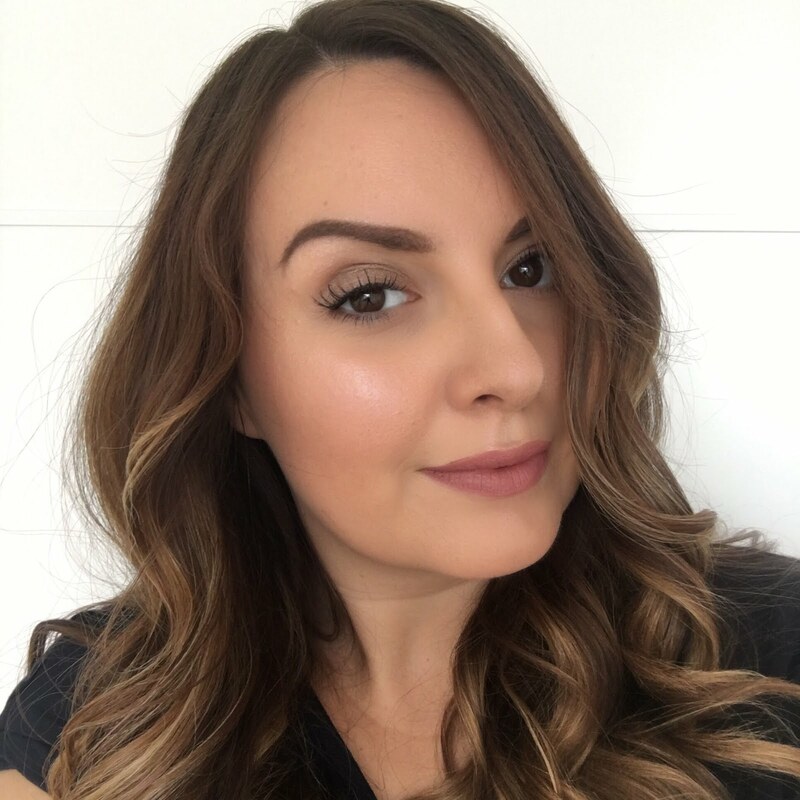 I love MAC and lots of other shadow brands - I'm pretty fickle and greedy, so I'll never only buy from one brand and have tonnes and tonnes of palettes! For the money, and if you're looking to create a large palette in the way you can at Inglot or MAC, I would say Inglot would win because of the price difference. The variety of colours is greater at MAC, and I like that lots of people will have the same colours, so you can easily find a tutorial using some of the colours you've got. Hope that makes sense! I bought the same Inglot system when I was in NY earlier this year, I spent more time than I'd like to admit pursuing all the beautiful products! I chose a mostly red-based palette to compliment my green eyes, and I really don't use it enough. You've inspired my to dig it out though! Dang, that palette looks delicious, for the lack of a better word. The inglot website is confusing - the UK version asks you to choose which number of shades of items you want for the nail polishes at least. I still don't like to spend that much on make up as a palette for £10 plus many shades £4.50 each adds up. I like the idea of the lip palettes though as they're not so common. Have you ever tried any of their nail polishes? By the way, I follow u on fb and twitter but found this post via fb.